Organic laundry detergent is a safe and nontoxic alternative to using most store bought detergents. Commercially made detergents contain many synthetic chemicals such as chlorine bleach and EDTA that do not support overall wellness in the body systems. 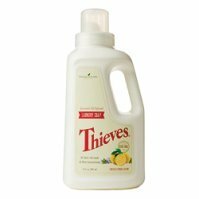 Thieves Laundry Detergent is free from SLS (sodium lauryl sulfate), petrochemicals, dyes, formaldehyde, phosphates, synthetic fragrances and perfumes and artificial brighteners (made to make the appearance of your clothes look great but gives you the illusion they are brighter)! Many of us don’t realize it but we may get skin irritation and sensitivities just by wearing our clothes due to the synthetics in our soap! My suggestion is to look for a biodegradable natural detergent that is made without phosphates. I personally use Thieves Household Cleaner or Thieves Essential Oil Laundry Detergent in the wash. It is highly concentrated and has purifying properties; and the oil is effective in supporting the immune system and overall wellness*. If you like to make your own homemade laundry detergent, then grate up Thieves bar soap for your soap flakes! How do I Use Essential Oils in the Wash? If you want great scents in your clothing without the skin sensitivities, then essential oils can be added to your wash or your laundry detergent directly. They not only add great natural fragrance but they enhance the effectiveness of the laundry detergent. Just add 3-5 drops directly to your rinse cycle or add a tablespoon to an unscented organic laundry detergent. If you make your own homemade laundry detergent then add directly into mixture. What Essential Oils do I use for the Laundry? I really like Citrus Fresh because it combines several citrus oils such as grapefruit, lemon, with spearmint oils. I drink it in my water, put it in my laundry and diffuse it to uplift my spirits. What a useful oil to have around the home! 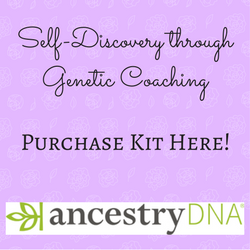 What Natural Product do I use to Keep Fabrics Soft and Bright? Keeping fabrics soft and bright is easy with organic distilled white vinegar. Add 1 tablespoon of vinegar or add in 1/4 cup of baking soda in the rinse cycle with the essential oils that you choose! It’s that simple! What Scent and Effect do I want to Create when using Essential Oils in the Washer? We can choose oils for our laundry based on the properties of the oil or even the results we want. If I am washing my dog’s blankets or doing the barn laundry I always like to use Purification because the oils in that blend helps to neutralize odors. Anything goes, so have fun and be imaginative! Ready to Make Nontoxic Homemade Dryer Sheets? It is so simple with essential oils. Click here to find out more about what oils to use in the dryer!